The Yankees and Red Sox continue their three-game weekend series with the middle game later today. It’s a 4pm ET start. Here are some links and notes to check out until game time. A few weeks after his agreement to purchase the Marlins with Jeb Bush fell through, Derek Jeter has another deal in place to buy the team, reports Barry Jackson. Jeter teamed up with rich dude Bruce Sherman and several other minority investors (including Michael Jordan) to buy the team. The sale price is $1.2 billion — that’s the second most ever paid for an MLB franchise, behind the $2 billion the Dodgers sold for a few years back — and Jeter is kicking in $25M. Jackson says Sherman will be the “control person” while Jeter will run the business and baseball sides of the organization, so he’s going to have a lot of responsibility. The sale is not yet final — two other potential Marlins sales have already fallen through this year, so this isn’t a formality — but Jeter and Sherman do have all the money in place and everything else is order. Now MLB needs to give their approval and the other 29 owners have to vote. That’s going to happen at the quarterly owners meetings in October, apparently. 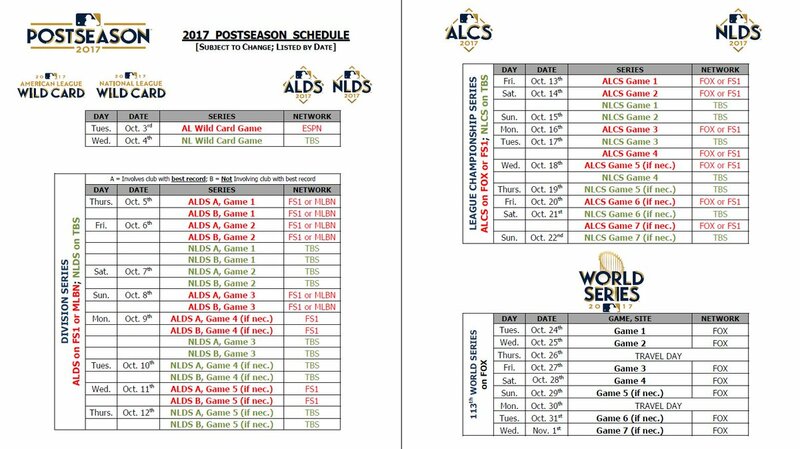 The regular season ends Sunday, October 1st, so there’s only one off-day between the end of the regular season and the AL Wild Card Game this year. That could cause some headaches for teams trying to line up their ace for that winner-take-all game. The NL has two off-days between the end of the regular season and the Wild Card Game this year. Also, homefield advantage in the World Series is no longer decided by the All-Star Game. That’s good. I hated that. (Even though the AL won this year.) Now homefield advantage will go to the pennant-winner with the best regular season record. That’s how it should be, I think. Anyway, as someone who may or may not have already purchased KRAKEN 24 and SIR DIDI 18 shirts, I love this whole Players Weekend idea. It’s fun. Baseball’s supposed to be fun. I couldn’t be any more tired of hearing about tradition and the way things have always been. Give me Players Weekend, The Judge’s Chambers, Clint Frazier’s bright red hair, finger points into the dugout, give me all of it. According to Joel Sherman, the Yankees have not pursued Curtis Granderson this month. He cleared trade waivers last week. The Yankees did try to acquire Jay Bruce from the Mets a few days ago, though that didn’t work out because the Mets wanted full salary relief. Granderson, like Bruce, is a left-handed power hitter, but he can only play the outfield. Bruce has some first base experience. Granderson, 36, is in the final season of his four-year, $60M contract. He’s making $15M this year and it stands to reason the Mets will look to unload his salary at some point. Granderson is hitting .221/.327/.452 (105 wRC+) with 16 home runs overall this season, but since May 1st, he’s put up a .261/.384/.548 (143 wRC+) batting line with 15 of those 16 homers. The Yankees have an opening at designated hitter and could really use another lefty power bat, which Granderson would provide. Doesn’t sound like it’s going to happen though.